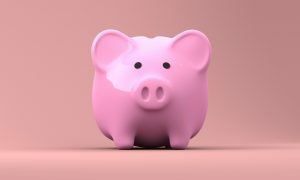 Are you one of the savers that are able to save money every month, or are you like the (almost) 10 million in the UK with savings of £0 – £1,500? If you are one of the 9.79 million that have little to no savings, then these tips on how to save money could be just what you need. Many people choose to leave their card at home if they are going out for drinks or going to a show. This is to make sure that they do not overspend for an event that they are going to. This is a great idea and often we wake up with the change from the night before. This is a brilliant opportunity to be able to save that spare change in a piggy bank. If you took out £30 for your night, but only spent £22, that leaves £8 that you can add, to lock away. If you are a very sociable, outgoing person, then this method of saving will add up bit by bit to be saved away for the future. If you are going out to an event or seeing friends at a show or bar twice a week, then this means that in a month you could be saving £64 or more from leftover change. In two months that is £128, and in twelve months that’s £768! It’s very common in life to see somebody who has a product that makes you jealous. Your friends might have nice cars, expensive clothing or the newest iPhone, but try to avoid competing with them for these products. The only person winning in these competitions is the creators of the products. For all you know, they could have their sports car on finance and be deep in credit card debt for all the designer clothing that they feel they can’t live without. Avoid this trap of consumer purchasing mentality at all costs, as this can soon become the biggest way to waste your money in 2019. A good rule of thumb for saving money is following the 50/30/20 model. This model explains that 50% of your earnings should go towards the essentials you need to spend on. This includes paying the rent/mortgage, for food and toiletries etc. It is then explained that 30% should be spent on personal expenses such going shopping for clothes or going on a night out on the town. Finally, 20% should be going directly into a savings account so that you can not touch it. This will ensure that you do not accidentally spend your money as it would have already left your account. 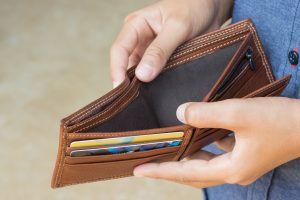 To read more on the topic of 6 Simple Ways to Curb Your Spending in 2019 click here.